New Tech: Looking for Metal Sensing Solutions? Prime Controls Has You Covered! Looking for Metal Sensing Solutions? Prime Controls Has You Covered! 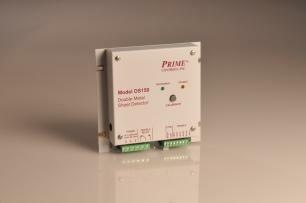 Prime Controls, Inc. is a leading manufacturer of high quality metal sensors and controls for a multitude of industries. Whether you're in the can making, automotive, or metal forming industry, they have a metal sensing solution for you. Prime Controls, Inc. specializes in Double Metal Sheet Detection and is a supplier for Double End and Missing Tab Detectors. In addition to the products featured in the above video, highlighted below are a few more of the many options available from Prime Controls. The DS150 is the basic detector for steel, tinplate, stainless steel, copper, brass, and other metals. It is easily able to detect a variety of metals due to its ability to automatically recognize and change its sensing signal based on the material type it's testing. Setup is easy as placing a single sheet between the probes and pressing the calibrate button so that the DS150 learns what a single sheet is. The SC200 control features a single probe detection for small ferrous parts. The system will respond to either a small position or density change of a ferrous object. 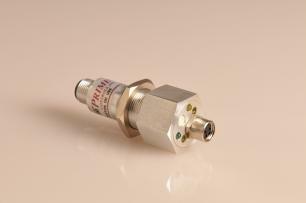 The corresponding FS12T18S probe uses a weak but concentrated magnetic field for detection, making it possible to detect small items with little to no magnetic pull. Due to its narrow field of view, the probe eliminates false detection from ferrous objects off to the side of the sensing face. The DS1522 is considered the ultimate dual probe detection unit for all types of metal. It offers multi-gauge detection with the ability to store and recall 64 different stored calibrations. The DS1522 can alert the user to the detection of a double sheet (over thickness) condition and also the detection of less than a single sheet (under thickness). 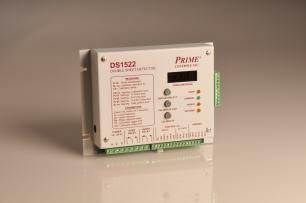 The DS1522 features remote calibration, automatic calibration trigger and calibration delay, and adjustable relay delays. CLICK HERE for the Prime Controls Double Sheet Overview Brochure. For questions, or more product information, please contact C&E sales at 800-228-2790. Thank you!